New to diving? Wondering where to start? 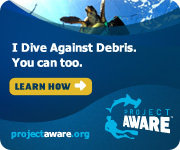 You need to enroll in the PADI Open Water Scuba program or eLearning. Classes are filling for next month. If you don't fit into one of our scheduled group classes then please ask about our private or semi-private classes. We'll work around YOUR schedule. Also ask about our Spring REFERRAL CLASSES! Our charter boat the Pisces Diver is available for dives on Saturdays, Sundays and select weekdays. Our boat is in the water from May through November. Check out the monthly calendar for other dive trips. Join us for a PADI Scuba Review (a skills tune-up). Call today! Our next PADI Emergency First Response (EFR) with Oxygen Administration class is now filling. Information on specialties, advanced, rescue diver, and professional levels can be found under Scuba Courses. Boy Scouts and troops! In addition to the Scuba BSA award, our instructors are also BSA Merit Badge Counselors! Earn the BSA Scuba Diving Merit Badge following your PADI Open Water Diver program. Be Prepared when you arrive at Sea Base. You can also join our Scuba Venture Crew 783. Or just do it for the fun! Diver Medical Insurance is important to have and economical to purchase. You can support the efforts of DAN and purchase insurance online by using this link . Traveling south? Try our Buoyancy Calculator to determine how much lead you'll need in salt water. It works with different size tanks, too! Our online store is ready to take your order! Save time. Order online and schedule your equipment for pickup, fully assembled and tested. PADI Open Water Referral class! Local Open water dives are also available. PADI Open Water Certification class! Here at Pisces School of Dive! Enriched Air nitrox certification class! Discover Scuba Diving adventure! If you have never gone Scuba Diving, this class is for you! A One hour adventure in our pool to try it out! For those of you that have been looking for Trimix compters, you can order them here. If you wish to order any other product from Abysmal Diving, please use our direct storefront link here.